Below is an article originally written by Joel Gascoigne, the founder and CEO at PowerToFly Partner Buffer, and published on September 16, 2018. Go to Buffer's page on PowerToFly to see their open positions and learn more. Buffer is a fully remote team. It's a decision I made at the end of 2012, when Buffer was in its infancy, and it's interesting to reflect on that decision now. I am happy to report that I am in love with the choice we made to be distributed all across the world. When I say that we're a remote, distributed team, I mean that we're literally spread across the whole world. Buffer is a team of 79 right now, and we have teammates on almost every continent and across timezones worldwide. The sun never sets on Buffer! The thing about hiring people for a distributed team is that they need to be self-motivated and productive working at home, coffee shops, or a co-working space. During the hiring process, we look especially for people who have worked as freelancers or on startups. Everyone on board is incredibly smart, and it's humbling to work with them. Have a family event coming up and need to travel on Friday? No problem. It's the little things too, like being able to avoid a commute and spend more time with family. We don't have working hours, and we don't measure hours at all. We're all excited about our vision, and we focus on results, balance, and sustained productivity. Even being able to share the locations of all my co-workers when I meet others and chat about Buffer is so fun and exciting. I think it provides a great story, rather than all of us being in the same office each day. A team call on Zoom, the tool we use for video calls. 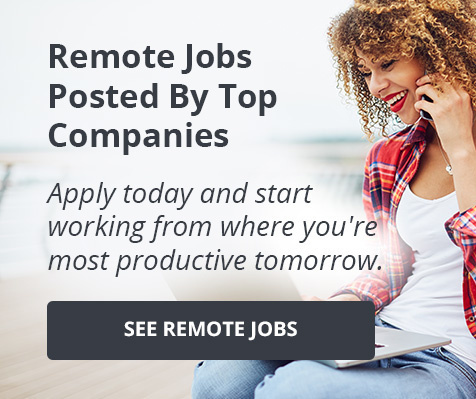 You can check out our full list of remote work tools here. I genuinely believe that how we're set up will be very normal in a few years. There are certainly challenges and we're still figuring a lot of it out. It's fun and a huge privilege to be able to be part of this innovation and experiment and share our learnings. People within the team speak lots of different languages, and talking with each other we learn about what it's like to grow up elsewhere in the world. We think carefully about shaping our culture further and how our choices might affect the various cultures within the team. In order to have deliberate face-to-face time together to bond and have fun, we have regular teamwide Buffer retreats each year where we gather the full team, and we hold mini-retreats throughout the year for smaller teams and areas of the company. A team work session from our 2017 retreat in Madrid, Spain. On our all-company retreats, we spend a week working together and also do activities like sightseeing, boating and safaris. Most recently we gathered in Singapore! A key part of our vision is to set the bar for customer support. We obsessively track the happiness of our customers and our speed to respond to them. We have more than a million users and we reply to 80% of emails within 1 hour. We couldn't achieve this level of service without being spread across multiple timezones. Timezones are a huge help for our development cycle too – with engineers in the US, UK, Asia and Africa, we literally never stop coding. Beyond the positives of having a fully distributed team, you can also learn about our list of perks and team benefits that all employees receive at Buffer. Below is an article originally written by Emily Triplett Lentz at PowerToFly Partner Help Scout, and published on May 30, 2017. Go to Help Scout's page on PowerToFly to see their open positions and learn more. As a remote-first company, we have to be deliberate about alignment. Back when the company was small, we held weekly meetings over the phone. But by the time the team had grown to ~20 people, those weekly calls weren't scaling. Teammates wanted to hear more about what was important to our leadership team and how they saw the company evolving. We replaced the weekly check-ins with video updates and decided to set aside time to share big-picture information with the whole team as well. These virtual all-hands and town hall meetings have become another one of the ways we try to keep everyone updated on all aspects of the business, from financial health to culture to important initiatives. The team gets to ask questions about projects other teams are working on, the company's strategic vision, or whatever is on our minds. It's a chance for everyone to learn — at a 10,000-foot level — how we're doing against our goals and where we're headed. Here's how these virtual meetings help us stay transparent, connected, and rowing in the same direction. We held our first all-hands meeting in person, at our first company retreat in March 2015, but since we only get together a couple times a year, we also conduct a few virtual all-hands meetings per year. We use the videoconference tool Zoom for all-hands meetings, which lets us record them for our far-flung teammates in other time zones. We also try to mitigate time zone issues by scheduling the meetings at 11 a.m. Eastern Time, so the majority of the team can make it during business hours. The week before each all-hands meeting, our CEO Nick Francis asks the team leads to submit slides, which he then compiles into a presentation. Nick kicks off the all-hands meeting with an update on the health of the business and any strategic shifts or goals we're working toward. Each team lead has 5-15 minutes to present a high-level review on the work their team has done in the past quarter and share what their team will be working on in the next quarter. We introduce new team members in our quarterly all hands meetings. 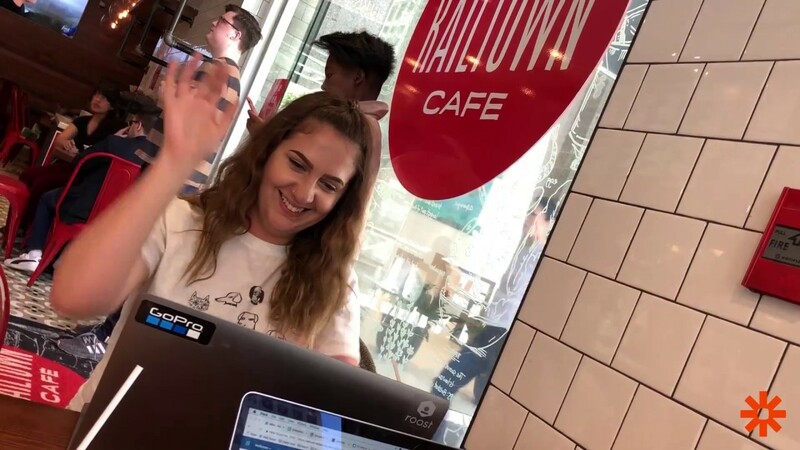 During the meeting, Becca Van Nederynen, our head of People Ops, monitors chat in Zoom and Slack for any questions that arise, and we pause after each section to make sure people have time to submit questions. Town hall meetings started when team members requested more supplemental and high-level updates from leadership — so in addition to the quarterly all-hands meetings, we now schedule town halls once per quarter after the board meetings. Town halls tend to be shorter and more informal. Becca solicits questions from the wider team ahead of time via Know Your Company. Team leads don't submit and share individual updates — instead, Nick goes over highlights from the latest board meeting, how we're doing on our goals, what we're focused on, and announcements of any changes we're making. Nick shares some good news with the team during Help Scout's remote Q2 town hall meeting. If anything with the business has changed since the last all-hands meeting, Nick shares it in the town hall. This way, there are fewer surprises and everyone feels like they have a finger on the pulse of the organization. When it comes to keeping our whole remote company aligned, all-hands and town hall meetings are just one piece of the puzzle. We've written before about remote team initiatives that help us build and maintain a thriving remote culture. Our team leads post monthly updates in Slack. People Ops' Leah Knobler creates delightful and informative weekly video updates. Everyone regularly checks in one-on-one with their team lead. Team members are randomly paired for "fika" over coffee and pastries. And there's no substitute for getting the whole gang together at company retreats. As a remote company, we can't afford to be blasé about this stuff — when you can't catch up at the water cooler, you have to be thoughtful and deliberate about getting everyone on the same page. What does a day of work look like at a fully distributed company like Zapier? The video above shows several one second clips of an average day — an amazing inside look at how the Zapier team works. Do you want to give the remote life a try? Click here to see all of Zapier's available opportunities, and don't forget to press 'Follow' to receive custom job matches, event invitations and more! This year's Karat Summer Offsite was a celebration of major milestones: Employee count has doubled since 2017, over 20,000 interviews have been conducted, and over 200,000 hiring outcomes have been recorded. Karat is proud to be the world's leader in conducting first-round technical interviews. Are you interested in joining Karat's growing team and celebrating more milestones with them? If you are, then click here to see all of Karat's available opportunities, many of which are remote! Plus, don't forget to press 'Follow' to receive custom job matches, event invitations and more!